FRIDAY — The Indies are always one of the highest profile events during Canadian Music Week. This year was the 13th annual edition. In between award presentations to various local and national talent, the evening featured a great line-up of "indie" bands including Metric, Yukon Blonde, Diamond Rings and Matt Mays. It made Kool Haus one of the places to be on the festival's Friday night. Kicking off the evening was Cadence Weapon. Edmonton’s former Poet Laureate elevated the crowd with the right energy that stayed with us throughout the night. Australia’s 360 continued the hip hop theme of the night. Stretching beyond the genre of rap, his music includes elements of electro and dubstep. The Wooden Sky are undoubtedly a Toronto favourite. Their performance graced us with songs like "I’m Your Man" and "Child of the Valley". 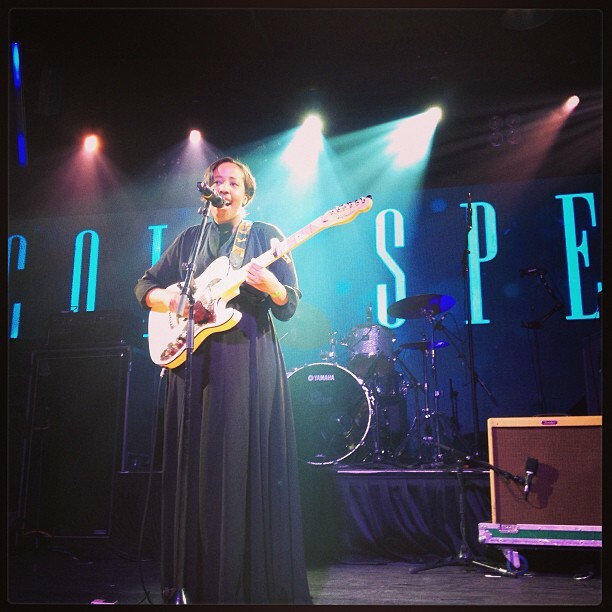 Next was Toronto-bred, London, UK-based Cold Specks. 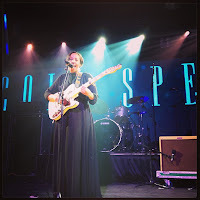 The presence of seeing a woman standing alone with a guitar in hand is powerful enough — even before she begins to belt out her take on gospel and soul. Compared to the rest of the performances that night, her set was subdued but it was a beautiful introduction to a performer that is poised for a long career.